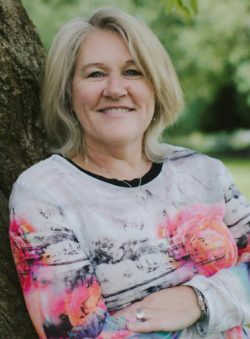 Denise teaches entrepreneurs and companies how to authentically and creatively connect with their customer, activate the relationship and deliver results to drive participation and sales revenue while increasing the customer experience. She has over 15+ years working with award winning brands including A&W Canada, Nurse Next Door Home Healthcare, American Express, Kumon Canada, CEFA (Core Education Fine Arts), Kids & Company and Heart & Stroke Foundation. Denise has a hybrid of skills to include project management, operations, marketing and sales. Denise is outgoing, open-minded and achievement-focused and has gained value working with a variety of target groups in a variety of management roles and loves franchise development specializing in lead generation. Briefly describe what you do/where your expertise falls. My expertise and much of my time is happily spent working with companies to help them add the rocket fuel they need to bring projects to life, with a special interest in studying relationships as related to the sales cycle. We call this lead generation and how we craft different messages to a specific target market during the sales cycle is the key. How did you first get into the Franchise industry? I was at an Ernst & Young Best Companies To Work For event with my husband many years back and was inspired by all the entrepreneurs who had started up these creative successful businesses like Clearly Contacts, Nurse Next Door and 1-800 Got Junk. That night I made a commitment to myself: I would work with one of these top brands — and in fact, I have since worked with many award winning and industry leaders! As an avid learner, I dove into reading about the franchise business model and ended up working as a consultant for 7 years with Nurse Next Door (starting with their first franchise!) which expanded to support 5 of their lower mainland territories. Here was where most of my franchise learning organically took place. I continue to be fascinated with the business model of franchising and eager to help where I can to add value to growing brands. What are the biggest challenges you see in running a growing franchise business? As a franchisor, it is finding qualified franchisees that fit your culture, have passion for the brand and qualify financially. Knowing where to find them and how to engage the right candidates is the key to a strong lead generation strategy. This relationship is imperative and it is something that requires a clear strategy with someone to manage the systems that need to be tested, tracked and modified ongoing. Also as important are the established franchise systems and the ability to scale the business. The best franchisors are those that are constantly adapting and listening to their franchisees with a franchise advisory council and those that are red flagged, in my opinion, are those that offer little support and are more about making the sale just to meet their numbers. I believe that this relationship building — the two way communication between franchisor and franchisee — is key to a strong and successful brand. Describe the franchise sales cycle from start to finish (including how/where lead generation fits in). The franchise sales cycle, or the path to purchase, is where we strategize on how to communicate the brand message so that the prospect sees the offer as a viable opportunity and might consider looking for more information. It really is about providing the right message to the right audience at the right time. This is where lead generation fits in, because we are trying to cultivate those relationships and move the prospect through the path by providing them with targeted and engaging content while creating urgency with a strong call to action. A franchise website and recruitment marketing strategy is key. Prospects are all very different and their reasons for buying a franchise can be as unique. One might fit best with a service model vs running a bricks and mortar business. I strongly believe that a prospect will be attracted to a brand if they have some synergy. I look at it as a funnel that is wider at the top, attempting to catch and attract prospects through awareness and lead generation in order to create interest. At this time, prospects come into the funnel and move down into the evaluation or consideration phase where we hope they convert to a lead. Once they are a lead in the system, they move through due diligence along the path to purchase. How does relationship building affect the franchise sales cycle + lead generation? The relationship created with prospects – from the number of times they might see a targeted digital ad or receive a marketing campaign email — will build upon that trust and bring them closer to the evaluation phase. It is definitely about learning about the target audience and figuring out who they are, their background, why they would want to buy into a specific brand. It is imperative to establish the WHO and the WHY which uncovers information about candidates and the reasons they might want to buy a franchise. Once this data is captured, the lead generation sales strategy can be modified to creatively reach them through recruitment marketing. You need a system in place to track metrics well so that ROI can be determined. Make sure there is a franchise development website that is well designed and has strong searchable content and images that resonate with the target group. The user experience must be integrated into the website or landing pages so as the conversion from website hit to lead is strong. I personally love the analytics and enjoy uncovering data that relates back to strategy. What are the keys to fostering a franchise system that believes and supports its people/franchisees? I believe the importance is on creating a strong corporate culture that is based on trust, respect and honesty. I had the privilege of mentoring with an amazing Vancouver based guru who teaches about Corporate Culture and believes in the need to design, implement and sustain a powerful culture that will accelerate brand growth. By having clear core values set out that the brand lives by, a franchisor will ultimately attract employees, customers and franchisees that are in alignment with your brand. Your goal is that they become brand ambassadors. What is your favorite/most interesting case study or story you’ve experienced during your career? I have had a lot of really exceptional and rewarding experiences working with a number of corporate brands and their franchisees, but my highlight would have to be when I developed a winning campaign idea for Nurse Next Door. It was early in my career, but also crossed into my own passions. Ultimately it felt great to find the mix between representing a brand in my marketing role, but also incorporating something I believed in. While working with the first Nurse Next Door franchisee in community marketing, we wanted to raise awareness in a new market. I knew that at the time Nintendo Canada was also targeting seniors, and senior centers wanted events to drive members. I came up with an idea to target seniors facilities with donated Nurse Next Door branded Nintendo equipment. We gathered groups of youth/grandchildren/seniors through intergenerational events raising brand awareness for all, and ultimately driving numerous free media and interviews. Nintendo Canada promoted Nurse Next Door and the event, increasing overall awareness. The events were so successful that some continue today, creating a legacy in this community. What advice would you give a new Franchisor? Put the right people on the corporate bus (trainable, confident and with personality) – age should not be a barrier. Build a strong foundation of corporate culture. Know your core values and Unique Selling Proposition and live your brand. Hire consultants with experience on projects to share best practices or to implement recruitment marketing. Have a mentor and coach to keep you accountable and supported through the new franchisor curve. Join the CFA and network with others at the same cycle and stage. Learn from larger brands. Trust your instincts. You will be bombarded with vendors promising to build your brand. Try to find work life balance so you can kiss your kids goodnight! Want to receive more great articles like this in your inbox? Sign-up for our newsletter and receive a complimentary copy of the Franchisor's Guide to Social Media! Sign-up for our newsletter and receive the Franchisor's Guide to Social Media.